Dr. Ian Shrier has been a practicing sport medicine physician for over 30 years. He has doctoral training in physiology and post-doctoral training in epidemiology. He is a past President of the Canadian Academy of Sport Medicine. He has over 240 peer-reviewed publications and 16 book chapters on topics related to the effects of exercise and sport medicine injuries, as well as methodological research papers about injury epidemiology, causal inferences, and meta-analyses. 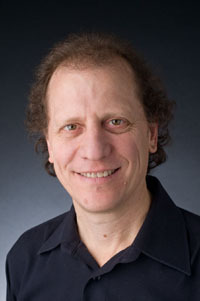 He is currently the co-editor in chief of Review Synthesis Methods, an editorial board member of four international sport medicine journals (British Journal of Sports Medicine, Journal for Science in Medicine and Sport, Scandinavian Journal of Medicine, and Translational Sports Medicine), and is a member of the Cochrane Collaboration Statistical and Bias Methods Group. Dr. Shrier has two main areas of research: sport medicine and biostatistics/general epidemiology. In sport medicine research, he was the first author to suggest that stretching prior to exercise does not prevent injury (subsequently supported by a moderate body of research and expert opinions). More recently, he studied injury patterns and risk in Cirque du Soleil artists, return to activity decision making by sport medicine health professionals, the effects of exercise on the health of those with different diseases, and how best to stabilize the cervical spine in pre-hospital patients with suspected neck injuries. He is currently funded to explore the causal relationship between workload and risk of injury. With respect to biostatistics and general epidemiology, Dr. Shrier has recently published articles in the area of causal inference (understanding confounding, causal inference) and how clinicians and scientists synthesize and interpret information when presented with systematic reviews / meta-analyses. One of his CIHR grants is to improve methods for the analysis of recurrent event data (e.g. count data that is often obtained in injury epidemiology studies). Shrier I, Piche A, Steele RJ. A first concussion did not increase the risk of subsequent concussion when patients were managed appropriately. Brit J Sports Med 2018 (In Press). Shrier I, Colditz GA, Steele RJ. Synthesizing risk from summary evidence across multiple risk factors. Epidemiol 2018 (In Press). Shrier I, Platt RW, Steele RJ, Schnitzer M. Estimating causal effects of treatment in a randomized trial when some participants only partially adhere. Epidemiology 2017;29:78-86. Shrier I, Zhao M, Piché A, Slavchev P, Steele RJ. A higher sport-related reinjury risk does not mean inadequate rehabilitation: The methodological challenge of choosing the correct comparison group. Br J Sports Med 51: 630-635, 2017. Shrier I. Strategic Assessment of Risk and Risk Tolerance (StARRT) framework for return-to-play decision-making. Br J Sports Med49: 1311-1315, 2015. Dr. Ian Shrier is an internationally recognized expert in sport medicine epidemiology. He has published extensively on the effects of stretching with respect to injury prevention and improving performance. His more recent methodological papers include how to best analyze data from injury studies, synthesize information from many studies, and apply causal inference. He continues to conduct sport medicine research on the effects of exercise on patients with deep vein thrombosis, and injury in athletes and Cirque du Soleil artists.